One of Newton Aycliffe’s youth teams raised much-needed funds from a sponsored bag-pack. 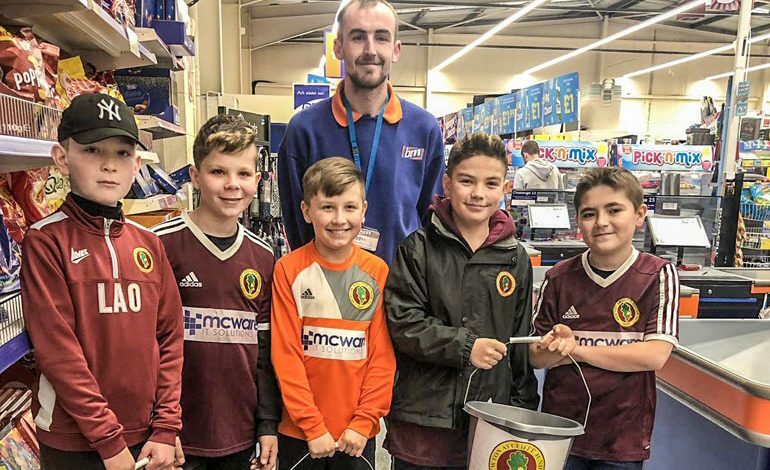 The players from Aycliffe Juniors Under-11 blacks – including Lucas, Jake, Jack, Embrehan and Jayden (pictured above) – raised £180.60 from the fundraiser at B&M in Darlington on Sunday. Coach Russ Gibson said: “They were interested in how the kids are doing at football, what their positions were etc and one member of staff in particular was fantastic at making the kids laugh and really helped the kids engage well with the customers. The money raised from the bag-pack will go towards entering tournaments and keeping the kids playing during the off season.